Boyz II Men took us back to "MotownPhilly" as they headlined the opening night of the Democratic National Convention. Based on the shots of the crowd, it seemed like they enjoyed being taken back to the early 90's with this performance as well. The trio weren't the only ones celebs to make an appearance at the convention though, Demi Lovato and Sarah Silverman were there as well. While it is kind of weird to see the group perform without their fourth member Mike, they still held it down and gave a great high energy performance. Wanya, Shawn, and Nathan let us know that they still got with the on point vocals and dance moves. 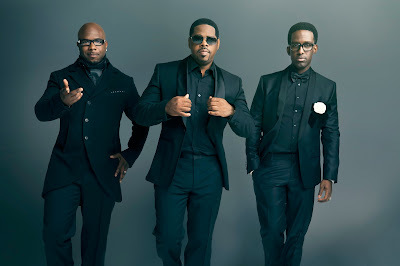 Boyz II Men's performance was not the highlight of the night either, the real highlight was our FLOTUS' inspiring speech. She oozes class, elegance, intelligence, beauty, and greatness and her speeches are always on point. If you missed the performance or would like to see it again, check it out below and get ya dance on!